Providing a squirrel’s eye view of all the nuts in the world. 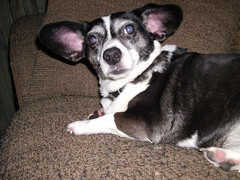 Some of you who stop by here may know I have a fondness for a special dog named Mabel – a stray with apparently plenty of corgi in her bloodlines. So you can understand when I ran across this video of corgis playing tether ball (which won’t let me embed it) I couldn’t stifle the “Awwwww” that escaped from me. Looks like Mabel is going to have to get on some fitness regimen to compete with these canines. I was listening to Terry Gross on NPR’s Fresh Air on Thursday and they had a wonderful piece on singer Sugar Pie DeSanto. I decided then and there that this would be my Feel Good Friday song. Tonight I want to go the party Sugar Pie is about to attend and watch her dance all night long. Oh, and I don’t have a clue why all the visuals in the video are shots of vintage scooters. Not a clue, but they’re pretty cool too. I made you suffer earlier this week with a female singer who spells her name differently, so now I’ll treat you to another siren with unusual spelling. Since my visit, I’ve always felt Portland, Oregon was one cool city that would be a great place to live and now think I have a new favorite publication – The Portland Mercury. The Mercury held a poll allowing readers to pick the cover art for an edition. What did the citizens of the fair city of Portland come up with to grace their Mercury? How about Betty White in a metal bikini wielding a flaming chainsaw while riding on the back of a centaur with John Ritter at its head. Here’s the rendition of that as compiled by artist Andrew Zubko. I know you are as impressed as I am. I’m in Memphis for a wedding today. 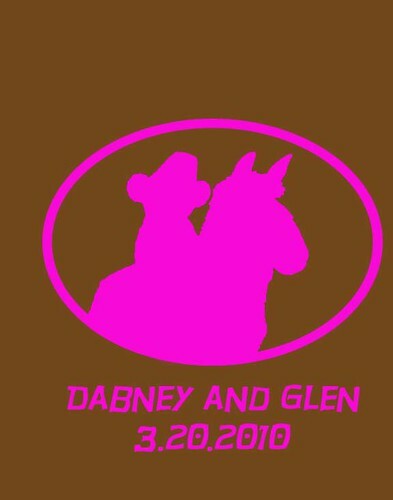 Here’s hoping for a wonderful day and many, many, many happy anniversaries for Dabney and Glen. I understand there will be cupcakes at the reception. It has to be better than a 42-pound cheeseburger as a wedding cake. It’s been too long since I’ve been down in the Big Easy. I think the recent Super Bowl win by the Saints has amped up my desire to make a return to NOLA. I’m missing New Orleans. 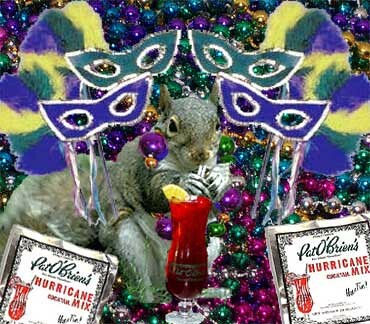 Days like today, Fat Tuesday, make me crave it even more … the food, the music, the beads, the beverages. Speaking of beverages, I’m not Catholic, but I am giving up something for Lent this year. I’m swearing off sodas. Bye Bye Mountain Dew. See ya later Dr. Pepper. It’s been sweet, but I’m going to eliminate you. I did this a few years ago and erased Diet Coke from my list of liquids of which I partake. As a matter of fact, it’s now been four years since I swilled a Diet Coke. Hurricane Katrina has paid a horrible visit to New Orleans since I have. She ravaged it. I hope to make a much more gentle landing in the Crescent City. I’d love to feel the heavy air and smell the amazing aromas that waft out of doors and windows of restaurants of both the five-star and the tiny five-table variety. The music pulses through the humidity moving your feet along the cobblestones and sidewalks, pulling you toward the rhythm. Brass boldly squawking at you. The felt-covered hammers inside the piano striking and making the strings vibrate to match the pumping of the blood through your veins. An accordion wheezing and breathing, yelling more than whispering, urging you to come inside. The city and its music speaks to you. To put you even more in the spirit of New Orleans, Newscoma called upon Buckwheat Zydeco this morning. Valentine’s Day is rapidly approaching. I know all of you out there are wondering what to get your loved one … flowers, chocolates, a massage. How about a bleeding candy heart? Come on. Nothing says “love” like an ooey gooey sticky sweet treat that gushes blood with every bite. Nom nom nom. Of course, this gift might not be the best for those “faint of heart”, but who wants to hang out with them.